Vehicle pricing includes all offers and incentives. Tax, title and tags not included in vehicles price shown and must be paid by the purchaser. While great effort is made to ensure the accuracy of the information on this site, errors do occur so please verify information with a customer service rep. This is easily done by calling us at (781) 917 - 1040 or by visiting us at the dealership. **With approved credit terms may vary. 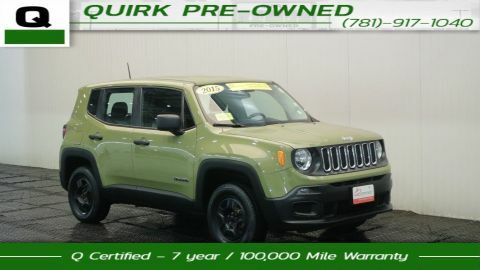 Monthly payments are only estimates derived from the vehicle price with a 75 month term, 5.9% interest and 20% down payment. Subject to change at dealer discretion. Must trade in vehicle 1999 or newer. Must finance with dealer. $20 per $1,000 borrowed. Security deposit not required. $299 documentation fee not included in final price. Residency restrictions apply. By submitting you agree to our terms and conditions. Stock #P20484. Sales ends 8-31-2018.